Tuesday4th June 2013 @ The Loft Venue @ The Locke Bar, Georges Quay, Limerick. Start 8.00pm sharp! This month launch of Revival Literary Journal No.26 plus guest readers Carlos Reyes and Knute Skinner. 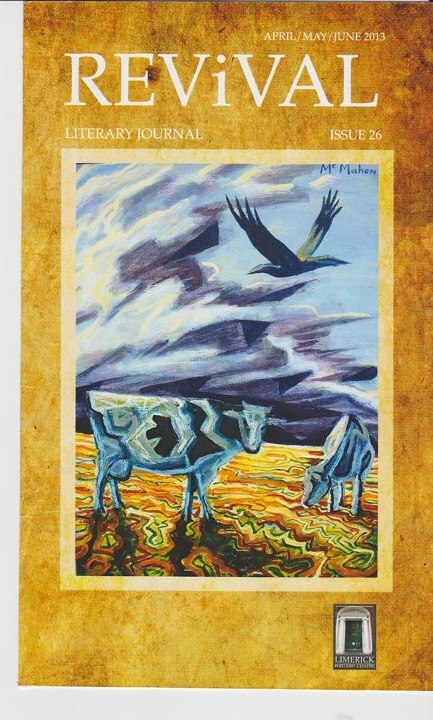 Revival Literary Journal has been published in Limerick since 2009. The latest edition contains poetry, prose and reviews from local, national and international contributors. Knute Skinner lives in Lahince, Co. Clare. His most recent collection, Fifty Years: Poems 1957-2007 (Salmon Poetry), contains new work along with poems from thirteen previous books. His collection The Other Shoe won the 2004–2005 Pavement Saw Chapbook Award. A memoir, Help Me to a Getaway, was published by Salmon in 2010. Carlos Reyes is a noted poet, writer and translator. Additionally, he is a book editor and publisher, and often writes freelance reviews of poetry books. When he’s not travelling or staying in his cottage in Ireland, he lives in Portland, Oregon. Of his work Carolyn Kizer has said: Mr. Reyes is one of our local and national treasures. His poetry is as clear and strong as his social conscience. One is always struck by his sensual and sensory qualities: the touch, taste, feel, color of things, and his ability to capture a mood, a world, in a handful of lines. Everyone is invited to take part in the open-mic after the main event, poets, storytellers, musicians and writers . Even if you don’t write you are welcome to bring something along to read. The night begins at 8.00pm and admission is free. So join us on the night and make this event something special. NOTE: Our special authors book table will again be in operation, so if you want your book, CD’s etc publicised make sure you are represented on the table. Contact Dominic Taylor at 087 2996409 to make arrangements. The Limerick Writers’ Centre acknowledges the support of Foras na Gaeilge & The Arts Council of Ireland. Tuesday 7th May 2013 in The Loft Venue@ The Locke Bar, Georges Quay, Limerick. This months guests are Keith Armstrong and Joe Healy PLUS Special Guests Austin & Mike Durack. Joe Healy is a member of Limerick Writers’ Centre and Listowel Writers’ Group. Previous work has been published by Revival Literary Journal, Bare Hands, Crannog, The Clare Champion, also in thefirstcut and The Applicant online literary journals. In 2010 Joe was a featured poet in Sextet – A Revival Poetry Anthology published by Revival Press and also in Whitehouse Poet’s Poetic Humour. His first collection Soft as Rainbow was published by Revival ress May 3rd. 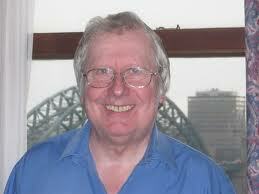 Keith Armstrong was born in Newcastle upon Tyne, where he has worked as a community development worker, poet, librarian and publisher, Keith Armstrong, now resides in the seaside town of Whitley Bay. He has organised several community arts festivals in the region and many literary events. He is coordinator of the Northern Voices Community Projects creative writing and community publishing enterprise and was founder of Ostrich poetry magazine, Poetry North East, Tyneside Poets and the Strong Words and Durham Voices community publishing series. He has read several times in Limerick and in Cork, Dublin, Fermoy and Galway. His irish adventures have inspired him to write a sequence of poems based on the places he has visited and the people he has met. With Dominic Taylor, he co-edited the anthology ‘Two Rivers Meet, poetry from the Shannon and the Tyne’ which was published by Revival Press as part of the exchange between Limerick and Keith’s home city. Mike and Austin Durack, natives of Birdhill, Co Tipperary, but currently resident in Ballina and O’Briensbridg…e respectively, will present pieces from their necently released album “The Secret Chord” that includes poems by Mike and instrumental originals by Austin. 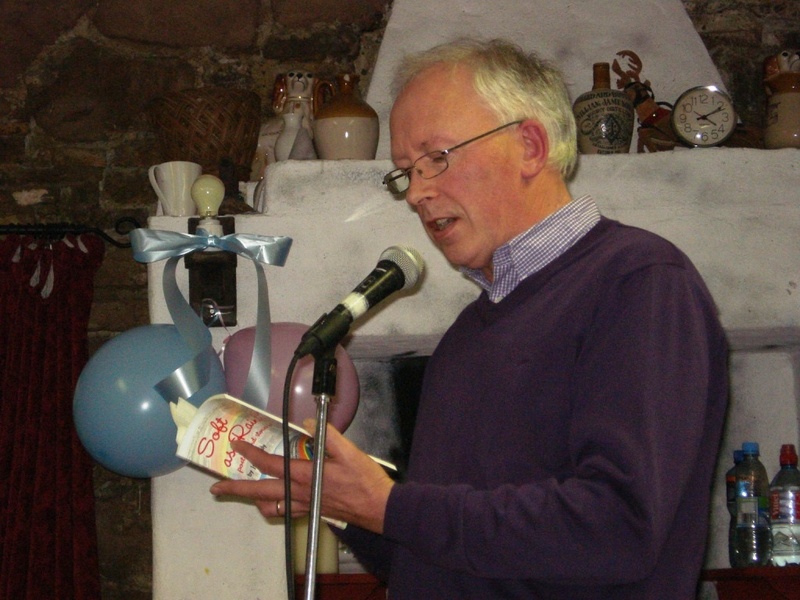 Mike Durack was a founder member of’ Killaloe Writers Group. 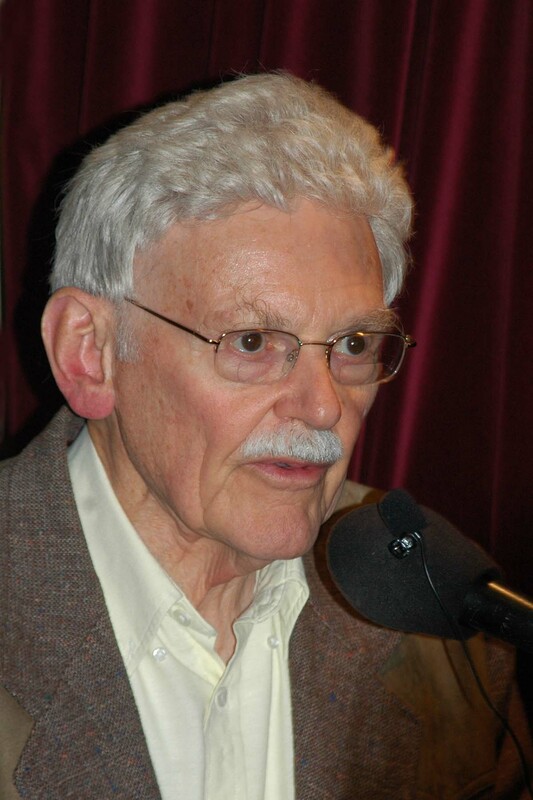 His poems have appeared in literary journals such as InCognito, The Burniv Bush, Flaming Arrows, The Cafe’ Review (Portland), Maine), The Stony Thursday Book and Poetry Ireland Review and they have aired on national and local radio. A chapbook, Nothing To Write Home About, was published in 1988 and A Hairy Tale Of Clare, a comic narrative in verse, was published in 1994. 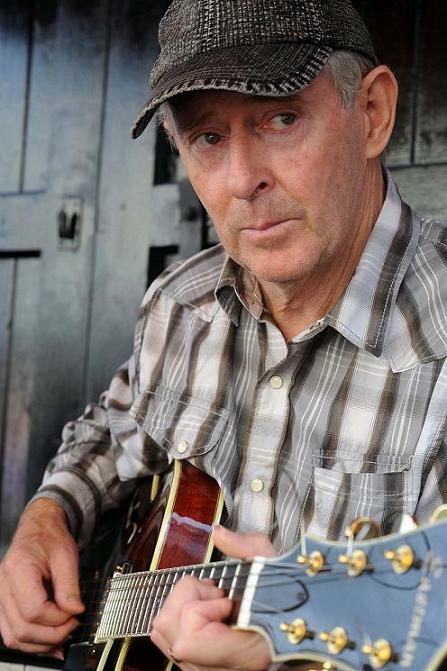 Austin’s career as singer, guitarist and composer has yielded nine albums and frequent airplay on national radio and television stations and he is a regular performer in restaurants and at concerts and festivals. His most recent instrumental albums, Drops Of Jazz (2012) and A Guitar Journey (2008), received critical and popular acclaim. Not to be missed!